From the Archive: Carlotta conquista Firenze! 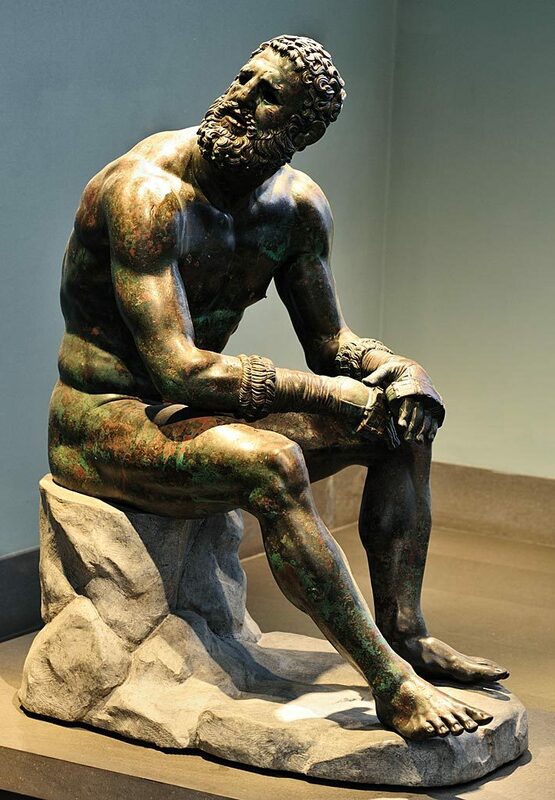 Before I came to Italy I knew I wanted to come to Florence especially to see a bronze show at the Palazzo Strozzi, called Power and Pathos Hellenistic Bronzes. My friend Eric made most of the plans and off we went to spend Saturday in Florence. The train was very comfortable and I had been looking forward to taking in the view, but unfortunately, I fell asleep almost immediately. We arrived in Florence promptly (under 2 hours thanks to the speedy train) and quickly found the Palazzo Strozzi and then wandered to find a bite to eat. The bronze show was good, but they did not allow photography, which was ESPECIALLY disappointing because there’s no reason (besides protecting the exhibition itself) to restrict taking photos of BRONZE. The two main things I wanted to see were Aulus Metellus (L’Arringatore) and the Terme Boxer. I saw them, but I found the layout of the show (especially for the Terme Boxer) kind of prohibitive in regards to actually looking at it. The room was too crowded so people were in the way when they weren’t even looking at the Boxer itself. It was also super stuffy in the exhibition space– I think we might have lingered more if it wasn’t so uncomfortable. The other big stop was the Accademia to see Michelangelo’s David. On the way, I saw Santa Maria del Fiore and the DOME. It was huge and fascinating and I didn’t get to see nearly enough of it. The line system for David was really disorganized and full of mainly Americans. There were peddlers and booths and a man playing the accordion and at that moment it felt *really* Busch Gardens (Williamsburg, for those of you that think of Busch Gardens is safari-like). Eventually we got it all figured out and got into the museum and saw him. I knew he was large. I knew he was a big guy, but I was not prepared for his scale. SO large. After that we wandered a bit, got dinner, and then sat ourselves in the Piazza in front of Santa Maria Novella and listened to this charming street musician play covers of classic songs. It was delightful and idyllic and a relaxing way to end a busy week. Florence was a city that I need to see more of; I’ll come back and do it up proper one of these days. Today I engaged in simple house-keeping affairs. I did laundry and longingly thought of my washer and dryer back in the States that would have made the whole endeavor take half the time. But, this too is part of the experience.